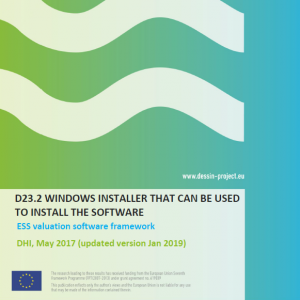 This deliverable provides a link to a Windows installer that can be used to install the ESS valuation software framework developed as part of DESSIN WP23. The software has been developed according to specifications outlined in D23.1 (System requirement specifications and system design documents). The software is documented in D23.3 (User guide and system documentation).